In order to enter an auction you must be a member. Register or login. Before you bid on an Uppymama auction, make sure you know how our auctions work. Remember to login into your account and check to make sure that your address is up to date as well. Uppymama Frozen 4.6m Light Blue Linen weft with a Mirrored Iceberg Blessing Thread middle marker. We just had an unexpected preview of the coming winter here in Alberta, Canada. The snow reminded us that while we’ll miss the summer heat there’s a certain beauty in ice and snow. Uppymama Frozen celebrates just that. Featuring blue skies streaked with grey clouds fading to sparkling snow and ice this is a cool winter wrap that will still keep you nice and snuggly warm as you carry your little one close. 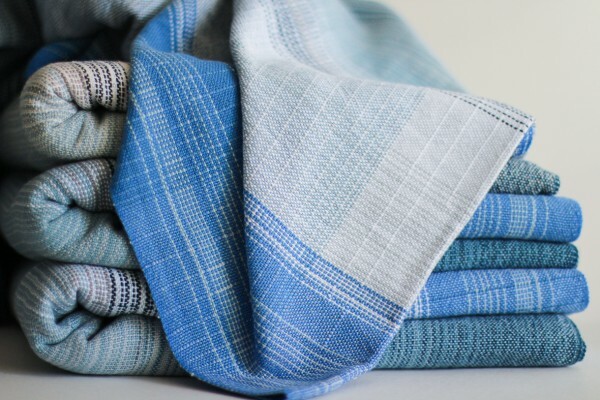 Only four wraps and a ring sling exist in this stunning pattern and the linen version is completely unique with its mirrored iceberg middle marker. This will be a baby wrap to treasure for years to come and with the added support of linen it is a wrap that will really grow with you and your little one. So you want to bid in an Uppymama auction? Here’s what you need to do! You need to have an account and be logged in to bid in an auction Be sure that the address listed in both your Uppymama account and your Paypal account are correct – not only can we only ship to the address listed on your account, keeping your address current will help expedite the invoicing process should you win the auction! The wraps currently up for auction will be listed in the auction post on the website – be sure to note the size, fibre blends, middle markers and reserve bid amounts for each wrap prior to bidding. Type your bid into the box that says “Enter your bid” (your bid must be higher than the reserve bid) and then click “Submit Bid.” Should you choose, you may re-enter another bid every five minutes until the auction closes. Please note that Uppymama auctions are sealed bid to protect the privacy of auction winners. Note: We highly recommend entering unique dollar values to increase your odds of having a the top bid. Instead of entering $500 it is better to enter $503 or $507 rather than a round number like $600 or $650. If your bid is the highest at the time the auction closes, you will be notified by email (sent to the email listed in your account). You will be able to purchase the wrap for your bid amount, plus shipping charges and taxes as applicable. All Uppymama auctions are conducted by sealed bid. You may enter an initial bid (higher than the reserve bid), and re-enter bids every five minutes. Please ensure your account information is accurate prior to bidding, including the shipping address. We are only able to ship to the address listed in your account. By submitting an auction bid, you agree that you will pay your full bid amount should you win the Uppymama wrap or sling that you bid on. Please be aware that we may not reveal the amount of the winning bid publicly, to respect the privacy of the winners. Due to the handmade, artisan nature of Uppymama wraps, occasionally a carrier may arrive to you with an area of inconsistency. It is completely normal for handwoven wraps to have weaver’s knots, bobbin changes, colour changes, nubs and slubs, etc. If a wrap you won from an Uppymama auction has an area of inconsistency that concerns you, please contact us within 30 days of the shipping date. 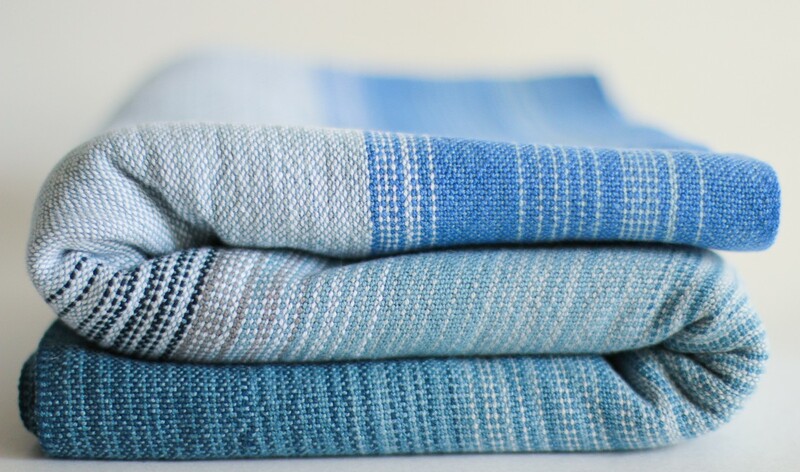 Uppymama will assess your wrap through photos to assess if you have an area of inconsistency that requires repair, or if your inconsistencies are considered normal for handwoven wraps. If we determine that your wrap requires repair, Uppymama will pay for shipping and repairs, and send it back to you as quickly as possible. Uppymama may also repair a wrap that has been damaged or arrives with areas of inconsistencies (more than 30 days after purchase, or if you are not the original owner), however the customer is responsible for all shipping charges.